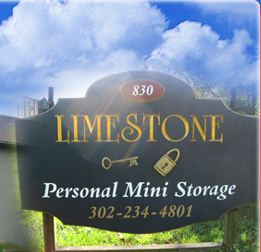 Opened in 1995, Limestone Personal Mini-Storage is the largest storage facility in the area. Built and operated by a local family with over 750 units ranging from 5x5s to 20x40s, we are able to accommodate all of your storage needs. All units are ground level and the buildings are masonry. Climate controlled units are also available. The entire facility is fenced with automated gates, plenty of lighting, security cameras and resident manager. When we expanded the facility in 2000, we began selling packing supplies and boxes in the new office. Check out our merchandise list on the main page or stop in the office where we have a full display of our products. In March 2010 we had solar panels installed throughout the facility to lessen our impact on the environment. You can check out our production levels by clicking the link to SunnyPortal on the homepage. Come in today for friendly, informative service!